Hi Friends! I apologize for the long winter’s nap I have (unintentionally) been taking from the blog. This time of year keeps us busy as elves in the kitchen at work so I have some fun recipes to share. Can I make it up to you with some SUPER SIMPLE holiday treats you can make in minutes and give as impressive gifts? 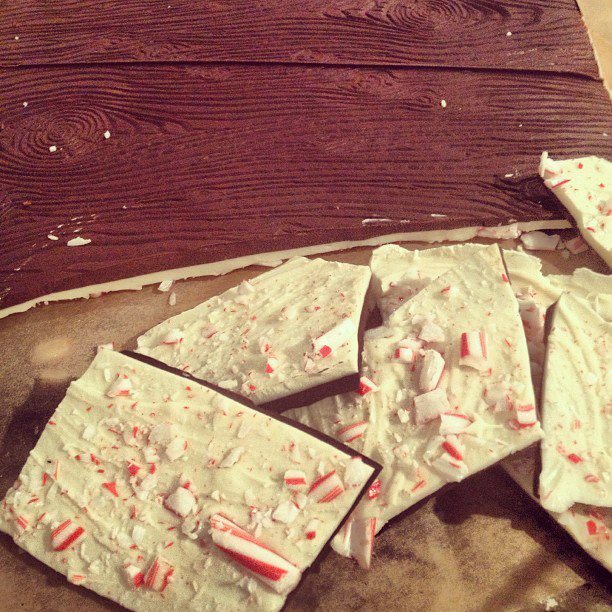 Peppermint Bark gets a whimsical update with a faux bois (wood grain pattern) silicone mat mold. Thanks to Martha for helping us hunt down the faux bois mold for the version we are making for our clients. 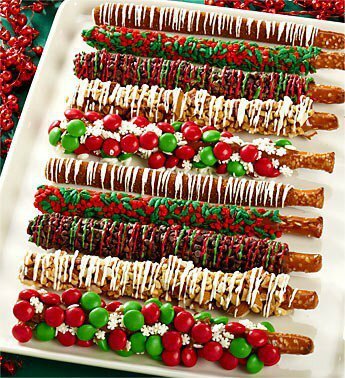 Dip large salty pretzel rods in warmed chocolate the then coat with your favorite festive candies. Done. 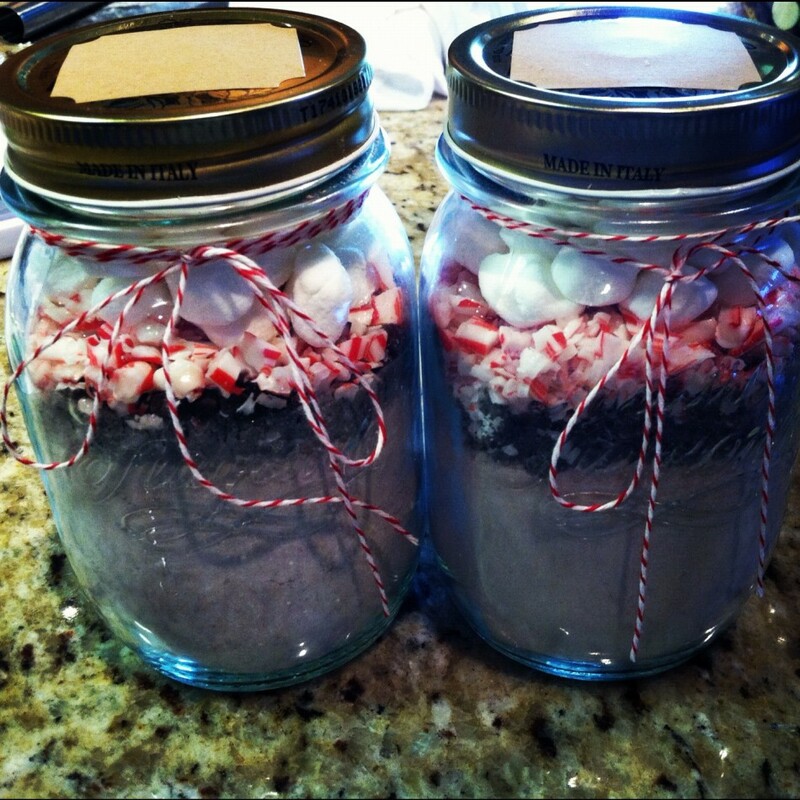 Peppermint Hot Cocoa Mixes all ready for gifting, just add hot water! We used this Alton Brown recipe and added some cinnamon, crushed peppermint candies and mini marshmallows as the top layers of the jar. 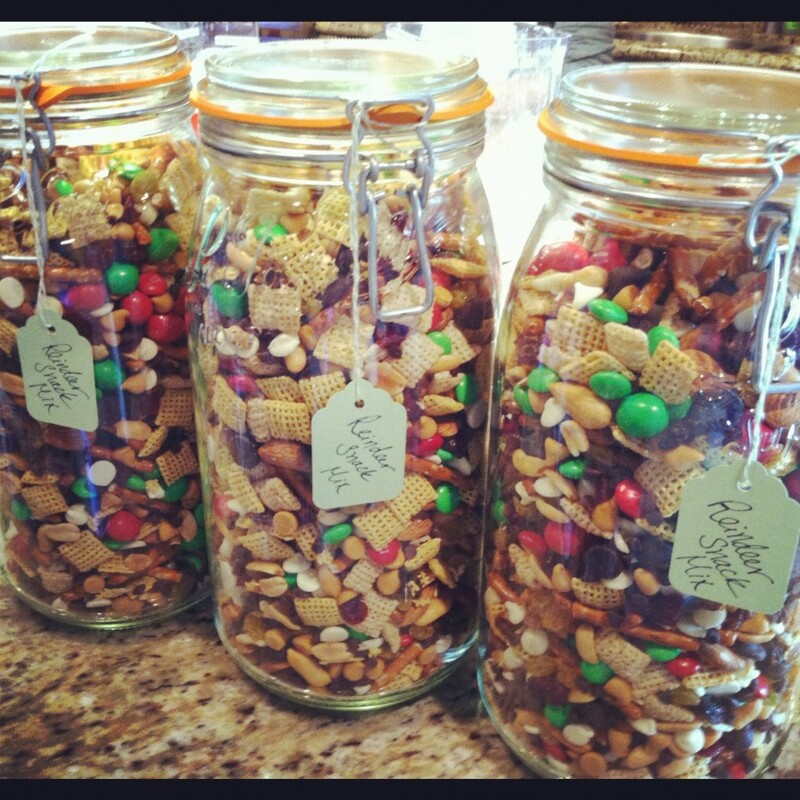 And finally a family secret from our chef Sarah Simms of La Femme Epicure… Reindeer Snack Mix. This is a recipe for all the non cooks out there, no baking required. Just gently mix all the ingredients together and scoop into a cute jar for gifting. So darling and yummy (and very dangerous to keep around).